Dr. Paul has been in practice for more than 20 years and shares a common goal with the entire Agave Chiropractic team for every single patient they see: To offer honest, responsible and affordable chiropractic care. Since 1996, Agave Chiropractic has sought to provide each patient with the personal care they deserve. Dr. Paul has never subscribed to “cookbook chiropractic care” and believes that the needs of every patient are unique and should be adjusted that way. We’ll treat you exactly as we would hope to be treated. 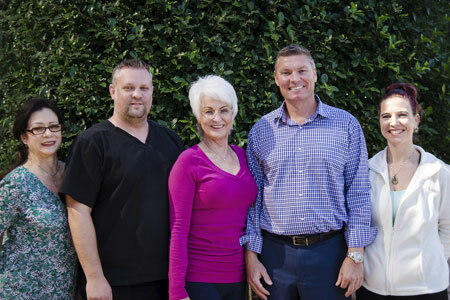 Unlike other Arcadia chiropractors, Dr. Paul offers traditional chiropractic care for patients of all ages—from newborns to seniors and everyone in between. Whether you’re dealing with a sports injury, a personal injury or simply want to live better, we can help you get there with natural and effective chiropractic care. At Agave Chiropractic, you’ll always receive the attention to detail that you deserve. Our patients are important to us, and you’ll never be treated as simply a number in our system. If you’re wondering how Dr. Paul can help you or your family feel and live better, we’d love to speak with you more. We proudly accept most insurance plans and Medicare.